As usual, Thursday begins with a folk night at El Dammah Theatre where El Waziry troupe take to the stage as The Gypsy Jazz Project hit the stage at ROOM Art Space, and Bahgaga head to El Sawy Culturewheel’s stage for a round of Arabic Contemporary tunes. If you are in the mood for some classics, Cairo Opera House’s Main Hall hosts a night of famous numbers from musicals called Musicals & Neapolitan Songs, while Cadre 68 screens Sidney Lumet’s 1957’s drama, 12 Angry Men. You can take to the stage yourself and flaunt your talent either at Stage ElZamalek’s HAPPYning, or at Darb 1718’s open-mic night, which also sees Al Hezb El Comedy taking to the stage. When the night grows older, EDM takes over at Opia, courtesy of DJ Nader Nelson, and at The Tap East courtesy of DJs Kashouty and Ike, while The Tap West welcomes DJ Armen V for a round of house beats. 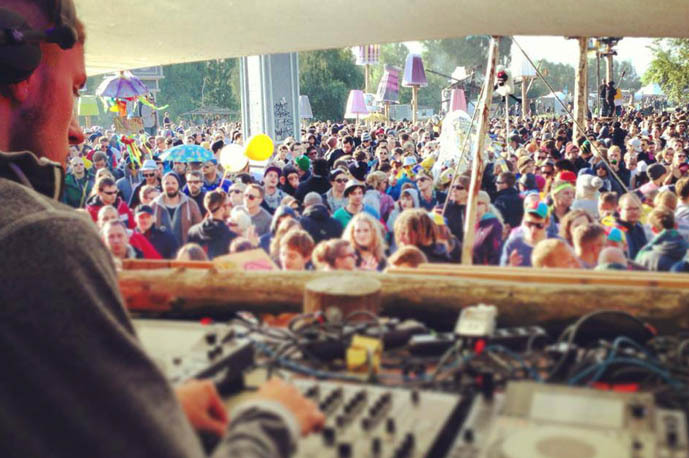 Speaking of which, Cairo Jazz Club 610 brings a massive tech/deep house night that sees Swiss DJ Freya, DJ Lexer from Germany, and local DJ Sebzz. But it’s a totally different vibe at Cairo Jazz Club, where local band El Dor El Awal play some Arabic contemporary tunes, before Bahiyya take over for a round of covers by Sayed Darwish and El Sheikh Emam. Friday brings a couple of brunches across the city; The Tap East’s Let’s Do Brunch welcomes Cesar to take to the decks, and at The Tap West, where Hamed El Sayeh plays a round of originals on his guitar. More music to come this Friday, with Hisham Kharma playing various original pieces at El Sawy Culturewheel and Mustafa Rizk singing a round of Arabic jazz numbers in this week’s edition of Darb 1718’s MazzikaXElSat7. Cairo Opera House’s Open Air Theatre hosts a night that sees a special collaboration between El Hadra and Awtar Quartet, who will harmoniously blend classical and Sufi music, while ROOM Art Space hosts a Frankie tribute night, courtesy of local cover band The Sinatra’s. Seems like a big night for all deep/tech house fans, as DJs Arrab and Omar Sherif are on the menu at Cairo Jazz Club, and DJ Ayman Nageeb hits the decks at The Tap East. 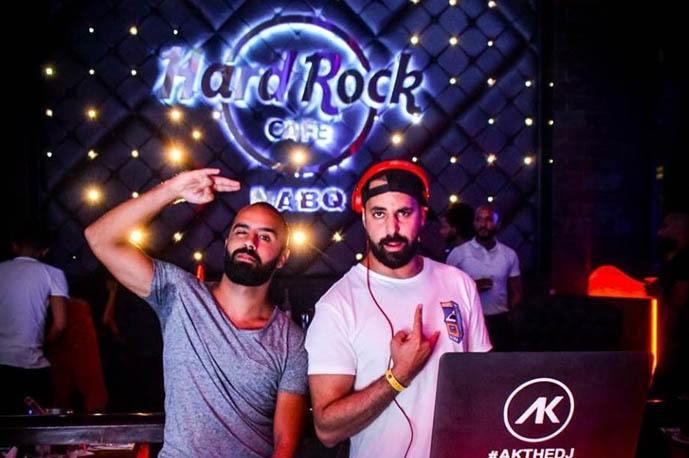 Lovers of hip-hop and R&B won’t be disappointed too, because The Tap West hosts a night that sees DJ Feedo, while Cairo Jazz Club 610 welcomes DJ A.K., as well as DJ Alak Jackson, who comes all the way from France. When Saturday comes, local band Hawas take to the stage at El Genaina Theatre for a round of Arabic contemporary tunes, Dalia Farid sings some originals at ROOM Art Space, while Ka3b Dayer take to the stage at Bedayat for a round of Arabic rock tunes. Elsewhere, The Tap Maadi hosts a funk music night that sees DJs Tata and Sewwes, The Tap West sees hip-hop and R&B DJ, Teddy, taking to decks, while DJ Akm plays some disco tunes at The Tap East. Cairo Jazz Club seals the weekend with a double header, welcoming Almena to the stage for a round of Arabic rock tunes, who will be followed by RT Nuba.